Warcraft 3 was (is?) a popular strategy game which was released in 2002 for Mac and Windows. It’s obviously not exactly a new game, so why bother discussing it now? 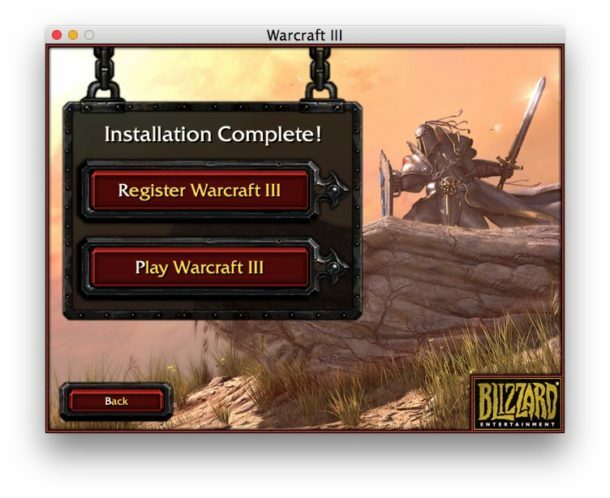 Well in short, because Mac users can install and play Warcraft 3 for Mac again, without having to use Wine, Boot Camp, emulators, or virtual machines. Yup, a 14 year old video game was actually updated to work on modern MacOS and Mac OS X releases, hooray! For some quick background, there was an extended gap where Warcraft 3 and Warcraft 3 Frozen Throne were unplayable in Mac OS X and macOS beyond Snow Leopard because Blizzard hadn’t updated the app to be compatible with modern releases. 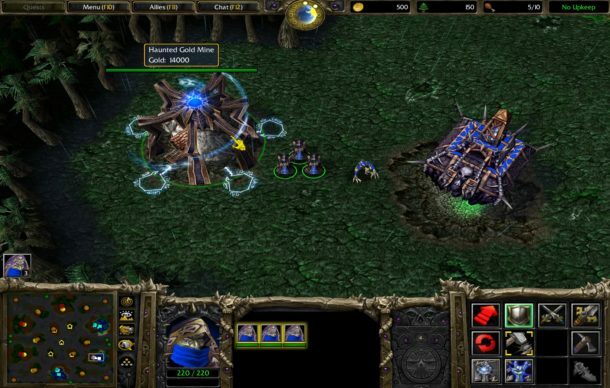 Then out of the blue this year for whatever reason, Blizzard quietly released a patched version of Warcraft 3 and Warcraft 3 Frozen Throne for the Mac, so that it’s playable natively in all modern versions of Mac OS X, including macOS Sierra 10.12.x, OS X El Capitan 10.11.x, Mavericks 10.9.x, and OS X Yosemite 10.10.x. Old school game fans rejoice! Obviously if you don’t care about Warcraft 3 and one of the greatest real-time strategy games of all time, then who cares right? But some of us do, whether it’s the nostalgia factor or whatever else. Anyway, here’s how you can easily install Warcraft 3 patch 1.27a on a modern Mac so that you can play both WC3 and WC3 Frozen Throne expansion on any modern Mac OS release. Once you have the Battle.net installers downloaded, you’ll likely need to right-click and choose “Open” or launch it through System Preferences to bypass Gatekeeper on the Mac to actually download and install the game – note you only need to do this with the downloader and installer, it is not necessary for the game itself. 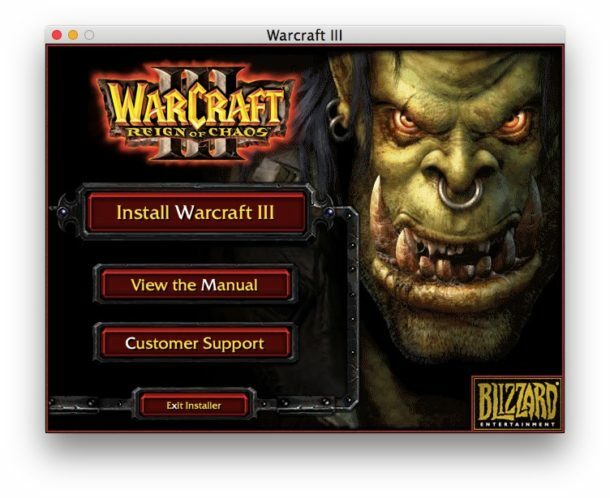 When finished downloading and installing, you’ll have Warcraft 3 on the Mac, and it actually runs. It’s in the /Applications/ folder by default unless you moved it somewhere else. Launch the game and play some Warcraft 3 or Warcraft 3 Frozen Throne, that’s it! Battle.net games work fine too so you can play multiplayer matches or the single player campaign, whatever you’re into. Anyway, have fun with this blast from the past. I suppose Warcraft 3 is now in the pantheon of retro games now that it’s nearly a decade and a half old, but it holds up quite well, the performance is great, and it’s still a lot of fun. Enjoy! Download Starcraft for Free, Have Fun! I always liked WC3 more than the Starcraft series and the WOW series. Warcraft 3 and Frozen Throne can be played on MacOS Mojave, MacOS High Sierra, macOS Sierra, and MacOS El Capitan, even back to Yosemite! Yes in addition to through the method detailed here, but also because Blizzard has announced a re-visited version of Warcraft 3 and Warcraft 3 Frozen Throne for Mac! It has HD graphics and new online capabilities! System requirements are pretty light so it will run on most Mac hardware, and of course older Mac hardware can use the older Warcraft 3 versions. Wow, some of you readers are really good. I’m still trying to get past level 1 of Leisure Suit Larry. Is there any way to easily play Warcraft 1? I have to use Dosbox and a CD at present. DOSBOX is probably the best way to play Warcraft 1 or Warcraft 2, maybe a Virtual Machine with Windows 95 would work too. I thought there was an OpenWC game but I can’t locate it, sorry. But for retro RTS gamers there is also OpenRA which is Command & Conquer: Red Alert that runs native on Mac and Windows http://www.openra.net and even has online play. Does this have play well with a magic trackpad? Or should I buy a magic mouse? Since my Macbook can dual boot into Windows this story isn’t that big of a deal, but it’s nice to play without leaving os x.
I use a $7 USB mouse from Amazon and it works great. You can certainly use a trackpad for games but I think it is harder to control units, though a trackpad works great with something like Civilization that is turn based. Kind of fun to see appreciation for Warcraft! Personally I am hoping for Warcraft 4…. I REALLY REALLY hope they do this for StarCraft 1 too. I was so bummed out when I realized SC1 wasn’t working anymore. Tale a look at MASS RECALL, the recreation of the original campaign. You have to launch it from the StarCraft II Editor. It works great! If you install Warcraft 3, how do I install the Frozen Throne Expansion? The same way, use a CD Key and download Frozen Throne from the same Blizzard site is what I did, it comes as an installer and works great. Still a fair amount of users play battlenet games too, which is fun. Warcraft® III: Reign of chaos – download link is gone from what you have in the screenshot. Only the Warcraft® III: Frozen Throne is there. But Frozen Throne wont install without Reign of Chaos. I have legacy CD (keys for both) but of course they wont install. I’ve been running this game and although it plays, most of the screen remains black and the minimap doesn’t work. Which, of course makes the game pretty difficult to play. Do you have any suggestions on how to fix that? I have all the video settings up as high as they can go, but it seems to be a bug or glitch of some sort. Occasionally the mini map will work, but it is very spotty. Any help is appreciated! Warcraft® III: Reign of chaos – download link is gone from what you have in the screenshot, and also the Warcraft® III: Frozen Throne isn’t there. can you help me in some way? It askes for a CD-Key, what to do??? Enter it. You do have your original CD, don’t you? There should be a manual included, where the serial/CD-key is located. Or there is somewhere a sticker with the key on it. I do not know what to do next. Any help will be welcomed! I followed all of the steps but I am only able to download and play Frozen Throne, and not ROC. I have clicked and downloaded from both links, but both links only download a Warcraft III Launcher, which only installs Frozen Throne, and not ROC. This just doesn’t work and I have tried quite a few times. Can only see Starcraft – which is an inferior game. 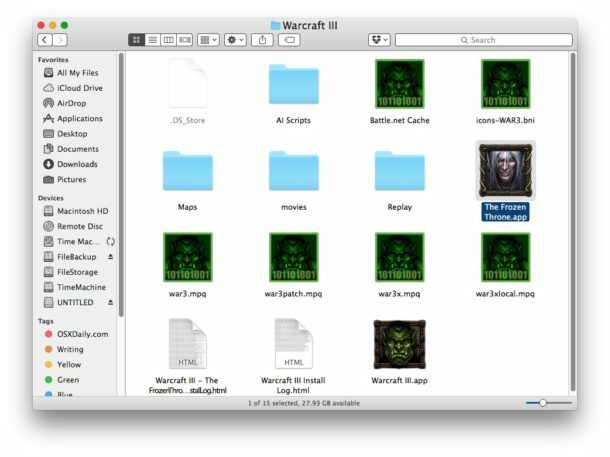 Rob, Warcraft 3 works on MacOS Sierra, High Sierra, El Capitan, Yosemite, and more. And I agree, I think Warcraft 3 is more fun than Starcraft! Like Rob said, the WC3 download is no longer available under “Classic Games”. Shame, it would have been great to relive this great RTS game. So if I buy from the website, I need to pay $20 to get the Frozen Throne one with the Reign ? Also, if I download maps from other websites and put them into the folder of Warcraft, will it work ? If you have a compatible version of Mac OS it should work for you, but if you are not sure then you should contact Blizzard directly and ask them about compatibility with your particular computer and Mac OS system version, before buying the game. I personally am running Warcraft 3 Frozen Throne on a MacBook Pro with El Capitan 10.12.6 and it runs great. It may not work necessarily in High Sierra or later versions because of abandoning 32-bit app support, but if you find that out do share with us your experience. Update for macOS Mojave and macOS High Sierra, yes you can run Warcraft 3 on macOS Mojave and yes you can run Frozen Throne on MacOS Mojave but there’s an important step you must take. If your mouse is not working in Warcraft 3 or Frozen Throne for Mac OS Mohave this is the fix for you. You might find that Warcraft 3 has broken mouse support and cursor not moving in MacOS Mojave. This is apparently because of system settings but you can fix it easily. That should let the mouse work in Warcraft 3 on macOS Mojave. It might work in High Sierra too but who wants to run High Sierra when Sierra or Mojave are much better? Hope that helps the rest of you wondering the same thing. Have fun!